WINSTON-SALEM, N.C. (July 11, 2018) – Players from 21 counties will take to the courts at the Wake Forest Tennis Complex this August. 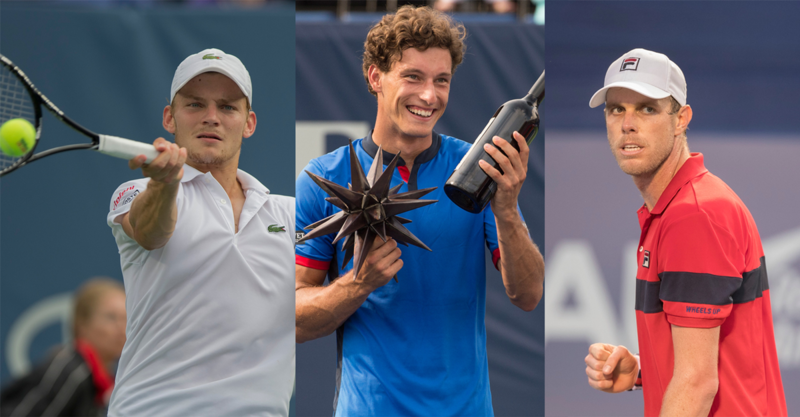 David Goffin (9), 2016 Winston-Salem Open Champion, Pablo Carreno Busta (12), Sam Querrey (13), Hyeon Chung (22), and 2017 Finalist Damir Dzuhmur (23) headline a solid field for the US Open Series finale August 18 – 25. The 2018 field features 16 playersinside the world’s top 50(at the time of this release). Crowd favorites Fernando Verdasco (34), Steve Johnson (42), Jared Donaldson (54), Ryan Harrison (59), Julien Benneteau (63), and Feliciano Lopez(70) will also return to the tournament. You can find the full acceptance list here.